The UK needs a framework for federalisation. Here's one suggestion for how this could work. Britain is on the brink of a catastrophe of which the left seems to be frighteningly unconcerned and unaware. If the Conservatives succeed in implementing English-only days at Westminster, it is likely to transform both Scotland and the rest of the UK into what will in effect be neoliberal dictatorships. Scotland will lose the ability to vote down proposals that would lead to steep cuts in its budget via Barnett consequentials if key services are privatised south of the border. English voters who may have voted Conservative or UKIP for ‘protest’ reasons such as concern about immigration or dislike of the EU could find themselves ruled by a domestic majority focused single-mindedly on implementing a libertarian-right agenda. Whatever the outcome, ‘English votes for English laws’ is likely to offer the best of both worlds for the Conservative party and the worst of both for everyone else. People on the left probably don’t need to be persuaded intellectually that English-only days is a bad policy. But the only real response coming from the left to this simple Tory solution to an obvious and easily communicable grievance is largely represented by vague calls for a constitutional convention. These calls are unlikely to resonate or succeed for three reasons. First, the left is split between those who are genuinely committed to constitutional reform and those who merely wish to postpone engagement with a troublesome issue. It is likely to be difficult for the public to distinguish between the former and the latter, particularly given that the latter (the Labour Party) are rich, powerful and dominate the mainstream media. Second, while radical left activists are likely to see the opportunity to have a deep public dialogue on constitutional issues as a positive thing in itself, people unused as yet to political mobilisation may not see things the same way. Third however, and most importantly, while the left is having a conversation about the possibility of having a conversation, the right will act and in acting will be able to ensure that any convention that does take place takes place on its own terms. We may note that the media already seems to be framing the need to resolve the West Lothian Question (as opposed to the House of Lords or voting reform) as common sense, and the English-only days proposal as the only realistic solution on the table. It is not enough therefore to merely call for a constitutional convention or some similar process. The left needs a concrete proposal which can be set against the right’s, and it needs one right away. Of course any such proposal would not have to be implemented right away. It just needs to be available. The problem with the sorts of ideas being batted around at the moment – primarily devolution for the English regions – is that they are at once too concrete and too unsystematic, while also being too ‘top down’, and too vulnerable to short term swings of public opinion. Calling for an assembly for the North East or Manchester, for example, is clearly too specific an idea to seriously propose in advance of an extensive process of consultation and debate. But in itself, it is also no solution to the systemic problem of ‘English votes for English laws’, unless accompanied by a still more problematic programme for the arbitrary dismemberment of all of England into regional chunks. Any such plan would, in turn, risk being derailed by a negative referendum result such as that of the previous referendum for a North East assembly. Instead, what is needed is an immediate plan for a legal structure which would be both systematic and open; one which would prescribe a clear structure for accommodating bottom-up mobilisation. What is needed in other words is a system which will legally formalise the status quo, while setting out well-defined mechanisms for changing it. Here, as an example of what this might look like, is one such proposal. First, a law would be passed which would formally define two levels of entity, the 'nation' and the 'region'. Nations would initially be the four nations of the UK: England, Scotland, Wales and Northern Ireland. However, it would be in principle be possible for the number of nations to increase in future, either by new nations joining (e.g. Guernsey, The Isle of Man), or by portions of existing nations seceding (e.g. the North of England). No regions would be defined (except, by default, Greater London). A nation would have a right to a parliament, which would be entitled (but not required) to arrogate to itself powers up to a certain maximum limit. Nations would not be required to have parliaments, however. A nation without a parliament would be directly administered by the federal parliament in Westminster. A region would have the right to an assembly. The definition of a region would be left fluid. It could be a single county, a group of counties, or an urban area, provided that there was local support in the area for the declaration of a region and the establishment of an assembly. Assemblies would be legally limited to powers less than those of a national parliament. There would also be a lower limit for the powers and size of assemblies, so as to deter the establishment of frivolous assemblies by small units in the absence of overwhelming communitarian desire to have one. More tentatively, an elected body replacing the House of Lords could have the important function of serving as a single upper house for all these various national and regional assemblies. The point about this system (which might sound speculative and outlandish) is that implementing it would at first mean virtually no change. England would acquire the formal status of 'nation', but there would be no legal need to immediately have an English parliament (although one might well go on to be established in due course). If English people voted to reject the establishment of an English parliament, it would weaken the case for objecting to the West Lothian Question. If they voted for one, then it would solve it altogether. 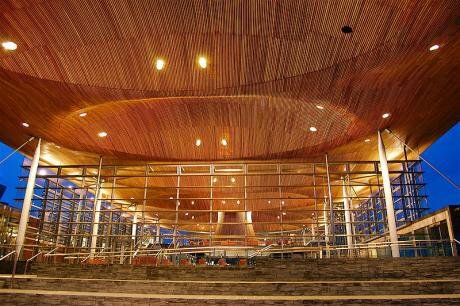 Wales and Northern Ireland would have their assemblies redefined as 'parliaments' (but there would be no obligation for them to assume powers greater than what they have at present). A framework would exist for incorporating regional assemblies in England (or anywhere else, for that matter), as and when demanded. But there would be no obligation to split up the country according to some consistent overall plan. Once implemented, we could allow the UK, and each part of the UK, to federalise at its own pace and according to the wishes of its people. This article is part of the Great Charter Debate series. If you want to support this project, you can donate to OurKingdom here. Thank you.